Health informatics students in nearly all master's degree programs must write a long, focused paper as part of their requirements for graduation. One way that students can narrow the topic for their thesis is thinking about whether or not they want to focus on the role of health care informatics in the community, from a patient perspective, from a management or administrative perspective, or from a local, state, or national government policy perspective. Students can also focus their choice by thinking about current trends in healthcare informatics, such as the impact of technology in professional training, patient education, or care provision. 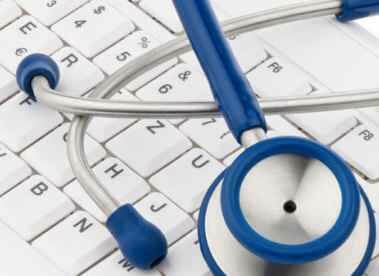 The field of health care information technology has grown rapidly around the world in recent years. Hospital and clinic use of mobile devices, medical information databases, remote medicine, and computerized provider order entry (CPOE) are each a different management-oriented topic selected by Master's in Health Informatics students. Theses which use surveys of provider adoption and study measures of healthcare information technology effectiveness in management can encompass many different settings, healthcare systems, and types of provider. Telemedicine is one of the fastest-growing areas of healthcare information technology. The field offers a lot of data, but research is still open on the effectiveness of e-learning on patient outcomes. Topics in e-learning can include a study of community-based telemedicine or e-learning programs in remote locations, or e-learning for healthcare professionals in hospital or clinical settings. Peer-to-peer learning effectiveness through e-learning, and the introduction of e-learning into training and certification are other topic choices for a thesis. Master's in Healthcare Informatics candidates with an interest in computer programming and artificial intelligence have many topics to choose from in the field of data and text mining from clinical notes. These uses of big data provide new insights into treatment effectiveness and diagnoses every day. Another topic in this field could be related to the adoption of standard vocabularies such as HL7 CDA versions, and how various care plans are impacted in different healthcare systems and communities. Master's degree candidates with a specific interest in diseases such as cancer, diabetes, or Alzheimer's disease can investigate topics which relate to the use of healthcare informatics in the management, diagnosis, and treatment of the disease. Other topics could include informatics in genomics, drug development and prescriptions, and the use of graphics in diagnosis, treatment, and patient education. Another choice could be a study of patient mortality in diseases such as cancer or COPD and provider use of computerized provider order entry (CPOE). Another research approach could explore ways to use health care informatics to prevent harmful drug interactions. Electronic health record security is a high-interest topic for many health care informatics professionals. Individual patient record security and safety is frequently mandated by law, but additional security threats from hackers or medical identity thieves continue to be a threat. A comprehensive study of emerging security threats to health care information systems, or potential threats to individual patients and records could be a fascinating choice. Another research topic could study the integrity and validity of health information records. Health care informatics students can consult journals in the field, including the Journal of the American Medical Informatics Association, to get an idea of current research. Issues in medical informatics emerge every day in the rapidly-growing field. The required research and writing will be much easier to complete if students choose a topic they are interested in, whether it is community health care and technology, or information security.